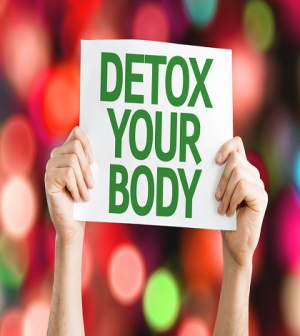 Whether you know it as juicing detox, a juice fast, or juice cleansing, you have likely heard about the hottest new way to get rid of the toxins in your body. However, what are they, and do they actually provide any benefit? Are they safe? You will find all of these answers right here, so you can learn the truth behind these plans. The premise of a detox diet is that you replace the sugar laden, toxin-filled, unhealthy foods you eat on a daily basis with a liquid diet for anywhere from three to five days. The idea is that this will allow your body to get rid of the harmful toxins that have built up in your system, helping you to have more energy, feel better, and even lose weight. There are a number of different options out there for detoxing, but some, such as the one where you only drink water that is flavored with lemon, cayenne pepper, and maple syrup for three to ten days, are quite unhealthy. Others, such as those that use fresh juices, are often considered a bit safer since you are still receiving some sort of nutrients during your fast. There are mixed camps on whether detoxing is actually necessary, since your liver is equipped to handle the job 24 hours a day. However, those who have completed a juice fast do feel better, and that cannot be ignored. As long as you pay attention to your own unique needs, and don’t overdo the length, it will certainly give your liver a slight break. • Three Days Before – You are going to be eliminating substances that your body has gotten used to having, such as caffeine, sugar, wheat, and alcohol. At least three days before you want to start the juice detox, you should start tapering yourself off of these substances – especially if you are caffeine or sugar addict. If not, you will be miserable for at least two days of your cleansing, and having headaches and irritability is certainly not going to make the process any easier. • Preparations – You will need to decide whether you are going to juice at home, or if you are going to purchase ready-made options. If you want to make your own, you’ll need a juicer. If you plan to buy, make sure you are actually buying organic, whole vegetable and fruit juices to make sure you aren’t adding unnecessary toxins and sugars. • Diet – You will want to start adjusting your diet by upping your vegetables and decreasing meats, poultry, and carbohydrates to get your body moving in the right direction. • Water – You will want to start drinking more water before you start the detox as well. This will help your body get ready for all liquids, and start helping to clean out your liver and kidneys. • Talk to Your Doctor – This is especially important if you are currently taking medications or being treated for a health condition. Drastic alterations in your diet can have serious side effects in these situations, including causing problems with your medications. Do not stop taking any medications before speaking with your health care professional to prevent possible life-threatening complications. Some diets will also recommend room temperature water between each serving of juice for better results. There are a number of different juice recipes and plans for the cleansing diet, but most will focus on green, leafy vegetables, fresh fruits, and other vegetables. You should make sure to use only organic produce to make sure you aren’t using foods that were treated with pesticides and other chemicals. Some people may need to include a healthy salad for one meal each day, or even a small snack of vegetables depending on their dietary needs, blood sugar, and hunger levels. Once you have completed your fast, you won’t want to just jump right back into the same diet you were eating before the diet. Not only will this make you very uncomfortable, it can also make you feel ill. Instead, introduce foods slowly over several days. As mentioned, the type of juicing detox you use plays a major role in just how safe the process is going to be. When you are following a juicing detox, it is generally safer than others as it provides your body with some of the nutrients it needs. However, you will be limiting the amount of calories you consume, as well as protein, fiber, and other vitamins and minerals. As long as you stick within a reasonable fasting time of no more than five days, you should be ok, providing you spoke to your doctor beforehand. Cleansing your body with juice is a great way to get rid of all of those built up toxins in the body. After your detox, you may even find it much easier to change your eating habits in general, allowing you to follow a healthier eating plan that includes juicing for optimal health.